You should make good use of this feature in Windows. Type following command lines to make a copy of utilman. Then, if you forget your password, you can reset it. Here is a revised version of my post. It is the most effective and safest way to reset your computer password without having any fear of losing data. There was no way to get into command-administrator. Important: The password reset disk need to be created before you locked out of your account. But others will remain unchanged, including the other user account, data, settings and programs. People who forgot to follow these recommendations must use other ways. Secondly, Windows Password Unlocker will pop up an interface which will list all the windows accounts with username and password-status Protected or Blank. 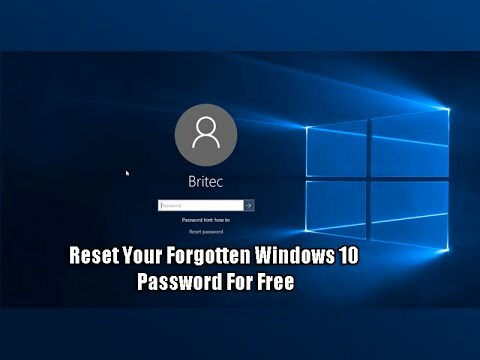 If you do not have the pre-created password reset disk and it is the only one account in your Windows 10, professional Windows 10 password reset tool — Renee Passnow is your best choice at this moment. For local account and administrator, Renee Passsnow will remove the password directly. Will do after I calm down a bit. If everything went right, you should see a cmd. But the precondition is that you should have for this local account when Windows 10 computer is accessible. Check the laptop's manual or contact the vendor. Check your email for that code and enter it in the next field. Windows10 user admin seems to be borked. Step 1: First access to your Windows 10 login screen. This method requires you to have access to the alternate email account or phone number you provided when signing up the Microsoft account. There should be a way that fits you well. You should see the key in the startup screen. Back arrow and then advanced selections lead to 'system restore', 'system image recovery', 'start up repair', 'command prompt' and 'go back to previous build'. So how do I even access the start button or much that have been explained above? Maybe you recently changed it and can't recall the new password. If not, just find the right answer in search engines. Since there are so many information and files that are there in the system, it becomes imperative to secure all files so that there are no third party interventions. How can you regain access to computer? So I went thru this process and successfully moved and copied the command prompt into the utilman location. Forgot My Windows 10 Password, Top 5 Ways to Recover It Forgot your Windows 10 password and unable to change it? Conclusion If your computer has too been locked out due to forgetting the password, then you should not waste your time on pondering the solutions, rather utilize the methods mentioned above in the article to bring about the required results. Press Win + R to open the Run menu, then type netplwiz and press Enter. We will be using two password recovery tools. You can log into your Windows after running this program without using any password to your system. Thus, Windows ships with this disabled. This did not free up my computer. Microsoft will now send a message to your alternate email address to let you know if you've provided enough information to confirm your identity. If unfortunately, you did it in wrong way, then the whole computer would be messed up. One of the ways that people think up most is to reinstall the operating system with installation disk. However, it happens frequently that users forgot their Windows 10 login password especially for complicated and irrelevant password. This works whether you use a Microsoft account or a local account to sign in. Luckily, there are a number of useful ways to recover forgotten, lost Windows 10 password. During reating a new admin user was when the problem created. From there I was able to perform this fix but. It can recover lost, forgotten Windows 10 administrator and user password for local account and Microsoft account. If you don't have access to those anymore, Microsoft will be unable to verify your identity. Any solution to find this login password without resetting my computer? Figure E You can also reset your Microsoft Account password from Microsoft's website, which is a handy option if you don't have access to your Windows 10 device or need to sign into your account on the web. You sit down to log into your Windows machine, type in what you think is the password, and bang, you realize you forgot what it was! If you use a local account, however, you'll need to be running the April 2018 Update. But users dir does not have the new admin user name that was originally and now is on the login screen. Jan hello and thank you for perfect step-by-step guide. On anyone accessible computer with internet access, download and install. It is one of the safest tools to reset your password. If the Windows version says 1803, you're in business. It runs in nearly 15 platforms. You can reset the password for a Microsoft Account from the Windows 10 login screen or from your Microsoft Account webpage—an option that Microsoft has long offered. If so, that email will contain a link you can click to reset your password Figure G. You can see the main user interface listed on the right. Double click it to open the program. 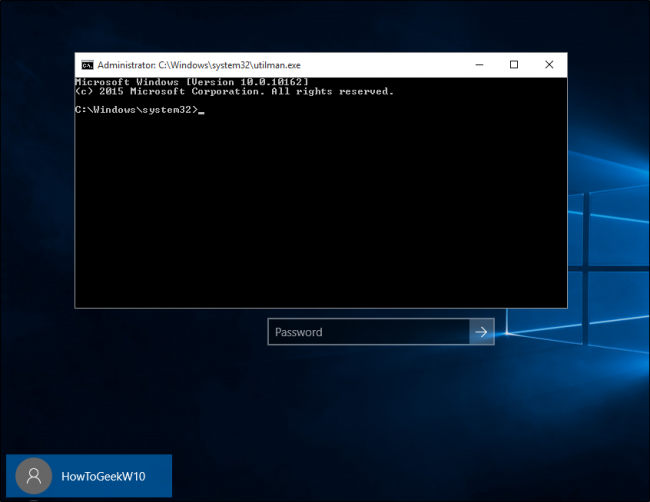 There are tons of password recovery tools available online, but we will be introducing two of the best Windows password reset tools to recover your forgotten password. Quickly, insert a flash drive and launch the program.